The Skyland Games crew was a bit divided about the release of the Han Solo movie. Some felt it was unnecessary and was a movie no one was asking for about characters of which we already know the fate. Others felt it expanded both the story and the universe in very cool ways. We can see an analog in RPGs and their respective supplements and expansions. Today Wizards of the Coast announced two new worlds for 5e D&D: Wayfinder’s Guide to Eberron and Guildmaster’s Guide to Ravinica. The Eberron update is digital only (at least for now) and the book for Ravinica won’t be released until November and represents the first cross-pollination of Magic: The Gathering lore making an appearance on the D&D side of the WotC fence. This news comes on the heels of Fantasy Flight Games reprinting a special 30th anniversary of the West End Games Star Wars RPG. Recently I purchased both it, and two Force and Destiny sourcebooks: Knights of Fate and Unlimited Power. Staring at my formidable shelf of FFG Star Wars got me thinking: at what point is a system too diluted by supporting materials? Fans of RPGs are familiar with the cycle: A core rulebook (or three) comes out for a system. Adventures, supplements and sourcebooks follow. Perhaps errata or an updated print run or seven. Finally the bottom of the barrel is scraped (for D&D often in the form of the Tome of Vile Darkness), and a new edition is released. Most recently we have seen this with Pathfinder and X-wing. 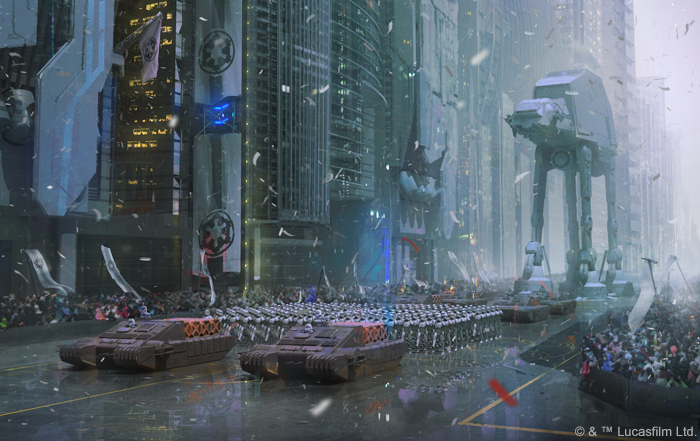 Reading through the old WEG Star Wars is a pretty wild contrast from a recent FFG sourcebook. The bibliography (they included one!) at the back of the WEG sourcebook is most telling: the original trilogy, their novelizations, a Han Solo trilogy of novels, a Lando Trilogy, and some art books for visual reference. In fairness, that was probably everything in print about Star Wars in 1987. Almost impossible to imagine thirty years later. The player section for the entire system weighs in at 24 pages, and a full one-third of that is dedicated to a solitaire choose-your-own-adventure style introduction to the concept of roleplaying: making decisions and rolling dice to see what happens. Is the system perfect? Certainly not. There are awkward combat mechanics, especially when it comes to starship combat. However, it does get you into playing the game quickly, and emphasizes not stressing the details as the GM. 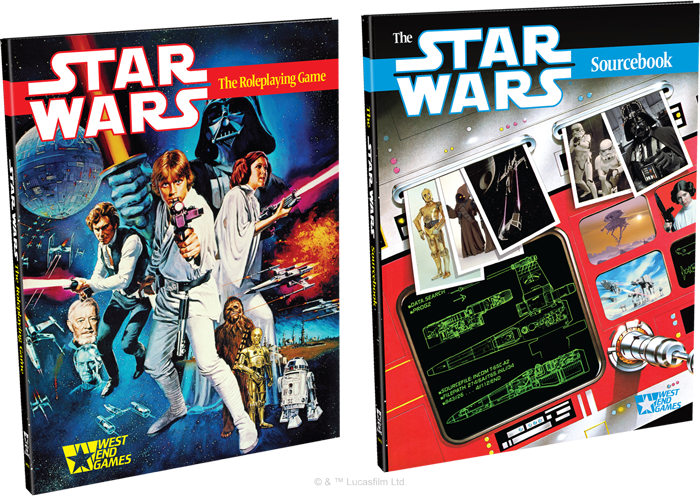 Between the two 144-page books included in the 30th anniversary reprint, you have everything you need to evoke the feel of the original trilogy and have a fantastic game. On the flip side of the coin, I love having a Star Wars sourcebook library that is now the size of an old Encyclopedia Britannica collection. Each book is filled with inspiration from settings, equipment, encounters, and adversaries. However, it can be daunting for new players creating a character. It would be an awesome compromise for FFG to produce not pre-gens, but templates similar to WEG: familiar archetypes to which you can add a few skills, a description, a background and a motivation and get to rolling. For D&D, each world at the peak of system bloat that was second edition seemed to have its own feel: Dark Sun, Spelljammer, Ravenloft, Dragonlance, and yes, Forgotten Realms. I imagine these new 5e options will provide that same sort of tone-setting characteristics to make each memorable. Maybe that is one way to think of it – not as dilution, but a particular flavor. Dungeon Crawl Classics has taken a similar approach with setting box sets: The Chained Coffin (Shudder Mountains), The Purple Planet, and very soon Lankhmar. Goodman Games has also recently released a post-apocalyptic version of their system called Mutant Crawl Classics (which is awesome and will get a much more in-depth review later). Ultimately it comes down to playing the style of game you want to play. There are pretty excellent RPGs that fit on a single sheet of paper. In my years of gaming, it has mattered less what system or edition we were playing and more that we had an excuse to get together every week and have a great time. Nerds tend to desire an encyclopedic knowledge of subjects they enjoy. This works out nicely for publishers. Is it necessary? Maybe not, but it sure is fun. 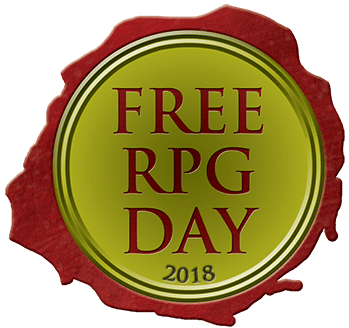 Free RPG day is less than two weeks away. Our friendly local gaming shop opened its doors six years ago on Free RPG day, so it is always a double celebration in Asheville. The offerings this year are particularly strong: Starfinder, We be SuperGoblins, Tunnels & Trolls, Kids on Bikes, and both 5th edition D&D and a 2nd level DCC adventures from Goodman Games, amongst others. To reserve a seat at one of the games at The Wyvern’s Tale, check out the warhorn page for the event. The Sanctum Secorum podcast has put together a list of locations hosting DCC games for Free RPG day as well as a free download of 3rd party DCC sampler that is currently out for approval, but should be available before the event. A quick search of our site for ‘Free RPG day’ is a fun trip down memory lane. We are extremely fortunate to have a tremendously diverse and vibrant RPG gaming community, especially for the size of this town. In 2012 I ran the DCC offering: The Jeweler who dealt in Stardust. It has been phenomenal to witness the growth of the DCC community in the intervening years. I remember running road crew games for just two or three players, and mostly folks who had never heard of Dungeon Crawl Classics. These days when Mike or I run at the Tale or a convention, we’ve got full tables weeks in advance and can even occasionally sign up for someone else’s table and play a PC! What an amazing six years it has been for Goodman Games: four printings of the DCC core rulebook, Chained Coffin box set, Purple Planet, 30+ modules, Mutant Crawl Classics, tons of brilliant zines and 3rd party modules, and the forthcoming Lankhmar boxed set. 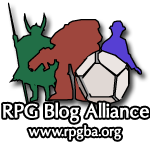 It has been tremendously fun to be a part of the community and help people find the magic of RPGs again through classic mechanics, the weirdest dice, and fantastically creative adventures. Try and track down a game, or better yet, run one on Saturday, June 16th. If this is your first Free RPG day or your eleventh, have a great time and contribute to this incredible hobby. 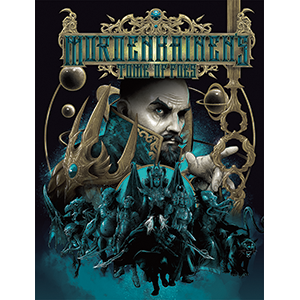 The latest 5E D&D book hit Friendly Local Gaming Stores this week: Mordenkainen’s Tome of Foes. I purchased this book thinking it would be essentially a supplementary monster manual along the lines of the classic Fiend Folio. In fact, this book follows the format provided in Volo’s Guide to Monsters. The first section details classic D&D struggles of Demons vs. Devils, Elves vs. Drow, Dwarves vs. Duergar, Githyanki vs. Githzerai, and… Halflings vs. Gnomes?! Not really, but they wanted to include some new material for the little guys so they threw them together at the end. 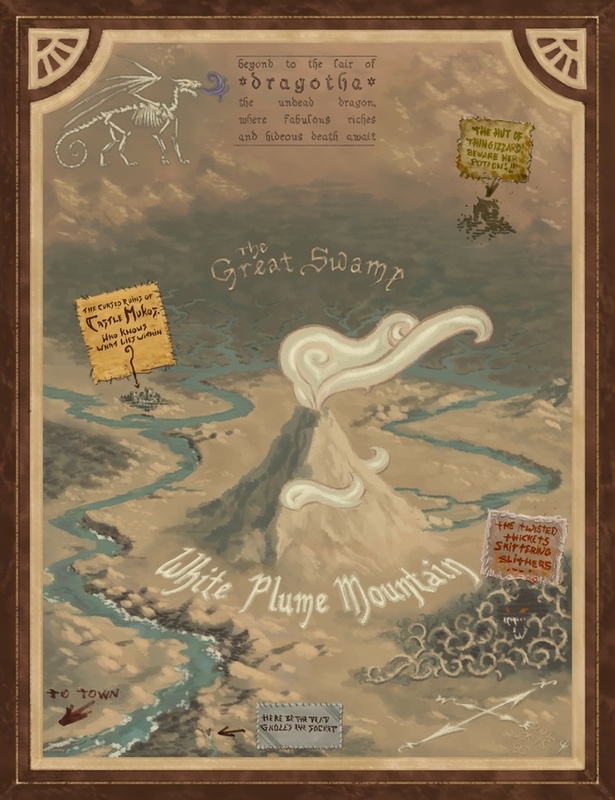 The second section is a more traditional bestiary with monster stat blocks, as well as stats for NPCs that the DM could use to illustrate the struggles detailed in the first half. There are brief sidebars representing personal notes from Mordenkainen about different sections of the book. Unlike the fun disclaimer in Volo’s or the entertaining condescending disdain in Xanathar’s, the sidebars here add little if anything. This is disappointing as a similar format was followed in one of my favorite 4E supplements, Mordenkainen’s Magnificent Emporium, and those side bars added really cool details and perspective. 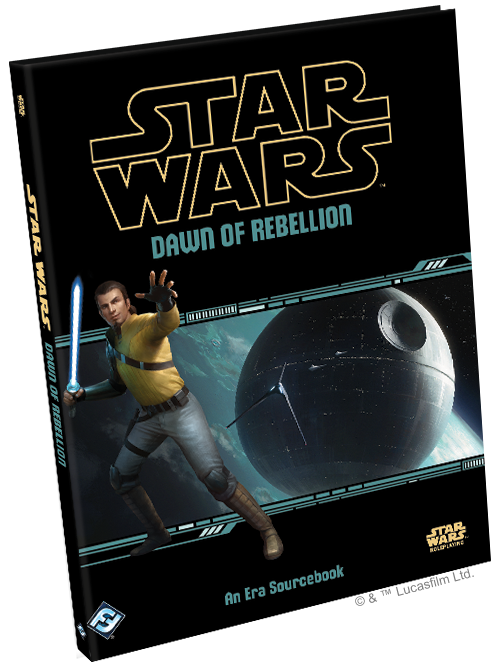 There is a great deal of background information and flavor text detailing the various struggles illustrated in the first half of the book. This may provide excellent context for classic rivals like demons vs. devils or elves vs. drow and reasons behind these struggles. There is also quite a bit of detail associated with the pantheon of gods for each race including alignment, province (what they are known for) as well as suggested domains and common holy symbols. Each section spends some time on world-specific variants of races (Gully Dwarves in Dragonlance, cannibal Halflings in Dark Sun), but usually without stats to make them anything more than window dressing. Peppered throughout the first section are a few player options and sub-races with traits and tables to help provide more character details for PCs, especially if you like playing Tieflings or Elves. Tieflings gain 8 optional sub-races to demonstrate allegiance or infernal origins associated with a particular layer of the nine hells (Asmodeus being the default described in the Player’s Handbook). New elven options include four distinct eladrin variants that correspond with the seasons (Spring, Summer, Autumn and Winter), as well as a Sea Elf and the goth cousins from the Shadowfell, the Shadar-Kai. The Dwarven section provides the Duergar as a playable race. Githzerai and Githyanki traits and tables are provided as PC options as well. While additional halfling personality/ideal/bond/flaw tables are provided, the only new sub-race in the last chapter of the first section are deep gnomes (aka svirfneblin). The bestiary second half of the book includes some fantastic dual-page artwork, as well as helpful indexes that sort creatures by type, CR, as well as typical environment. This book is for DMs looking for inspiration using some of the classic D&D struggles detailed over the 40 years of monster manuals of every edition. 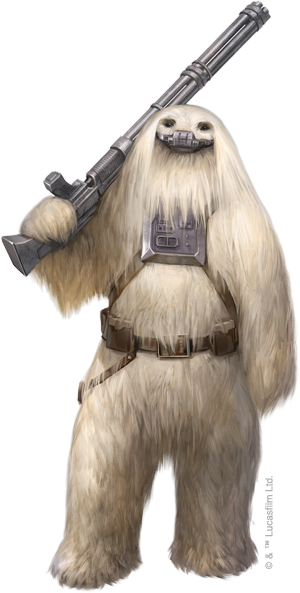 It is also for players who may be looking for a particular sub-race they miss from a previous edition or more background details and inspiration for new characters. Should you buy it? Maybe. This one isn’t as essential as Xanathar’s as it isn’t as great a value for the money from a player options perspective. As a DM, if you already own the adventure Into the Abyss, there will be a significant amount of repeated stat blocks as all the demon lords are repeated here. If you’ve always wondered what the story was behind why demons and devils fight, or the origins of the elven diaspora, this is the book for you.